To estimate polynomial models, you must provide input delays and model orders. Import data into the app, specify model orders, delays and estimation options. Specify model orders, delays, and estimation options. Size of A, B, C, D, and F polynomials for multi-output models. This example shows how to estimate a linear, polynomial model with an ARMAX structure for a three-input and single-output (MISO) system using the iterative estimation method armax. Polynomial model structures including ARX, ARMAX, output-error, and Box-Jenkins. Use time-domain and frequency-domain data to estimate discrete-time and continuous-time models. When you use the pem or polyest to estimate ARMAX, Box-Jenkins (BJ), Output-Error (OE), you must specify how the algorithm treats initial conditions. 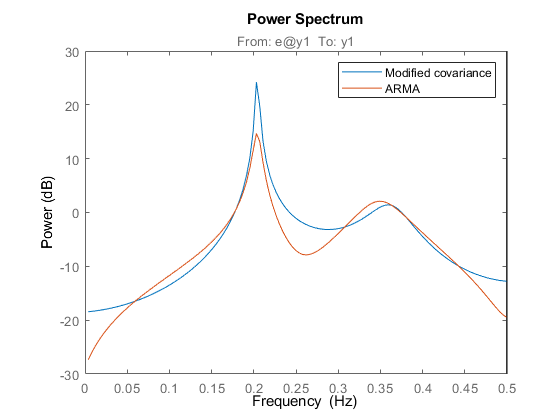 Choose between the ARX and IV algorithms for ARX and AR model estimation.